The world's oldest complete copy of the Ten Commandments is going on rare display at Israel's leading museum. The exhibit traces civilization's most pivotal moments. The 2,000-year-old Dead Sea Scroll comes from a collection of the world's most ancient biblical manuscripts discovered near the Dead Sea east of Jerusalem. It has never before been publicly displayed in Israel. It has only been shown in brief exhibits abroad, said Pnina Shor of the Israel Antiquities Authority. The manuscript is so brittle that it will only be on display at the Israel Museum in Jerusalem for two weeks. Then it will be returned to a secure, pitch-black, climate-controlled storage facility there. It is one of 14 ancient objects displayed in "A Brief History of Humankind." The exhibit includes historical objects that span hundreds of thousands of years. "When you are thinking about universal law, the universal principle of ethics, ... this is the first law that comes to your mind," exhibit curator Tania Coen-Uzzielli said. The exhibit includes tools used in an elephant hunt from 1.5 million years ago. In addition, there are the oldest known remains of a communal bonfire from 800,000 years ago. Skulls from the oldest remains of a family burial are on display as well. Also included is the world's oldest complete sickle. It's a 9,000-year-old object. The sickle represents the transition from hunter-gatherers to settled civilization that worked the land. The objects are framed in dramatically lit cases in a dark exhibition hall. They were all discovered in the Holy Land. They are a testament to the region's central role in human history. The museum is mounting the exhibit to mark its 50th anniversary. "After only 50 years, we may be one of only a very few museums worldwide that can tell such a broad story from its own holdings," museum director James Snyder said. The exhibit contains even more. There is a 5,000-year-old Mesopotamian tablet. It is on loan to the museum. Coins that are 2,700 years old and come from what is now Turkey, are also on display. Not everything in the exhibit is so old. An original handwritten manuscript of Albert Einstein's groundbreaking theory of relativity caps the exhibit. Einstein first published the theory in 1905. He generally is considered the most influential physicist of the 20th century. Physics is a science. It deals with matter, energy, motion and force. Critical thinking challenge: The Einstein manuscript contains his theory of relativity first published in 1905. Why is it referred to as not so old? It's interesting and neat that something so old could last this long but if I owned it I wouldn't let people see it outside of pictures. I think this being on display is very good, especially for experience. It would be very good to actually let EVERYBODY to see it. I honestly don't see how this piece of paper isn't worn down yet. It is a very good piece of work to be old. This is very nice how they put these very important pieces of history together on display. It is important to look at our past to look to the future. Israel's leading museum has an exhibit called "A Brief History of Humankind" that displays the world's oldest surviving artifacts. One of these is the oldest copy of the Ten Commandments, which came from a collection of the world's most ancient biblical manuscripts found near the Dead Sea east of Jerusalem. It is so old and brittle that it is only going to be on display for two weeks before being sent to a climate-controlled, pitch-black storage facility. Other objects that can be found there are Einstein's original manuscript of his groundbreaking theory, tools used in an elephant hunt 1.5 million years ago, the world's oldest complete sickle, and many more things. It would be very interesting to go to this exhibit and actually see the objects so often talked about in history books. It would be like going back in time when these objects were actually made. Wow, so cool, I would not have expected a little piece of paper to last that long. I would have thought that the piece of paper would disintegrate or be missing most of it or even just as easy as it all being ripped up. Its so amazing how the little piece of paper is 2,000 years old yet it still is "alive" meaning it is still in one piece or all together.This is so cool! I'm very shocked that this lasted through sooooo many years and I am also glad that it is on display because I mean who wouldn't want to see something like that? This shows so much of history, which is unbelievable. I wonder how hard it was to find it and if they new there was an older copy? This is amazing and I would love to see it in person!!! 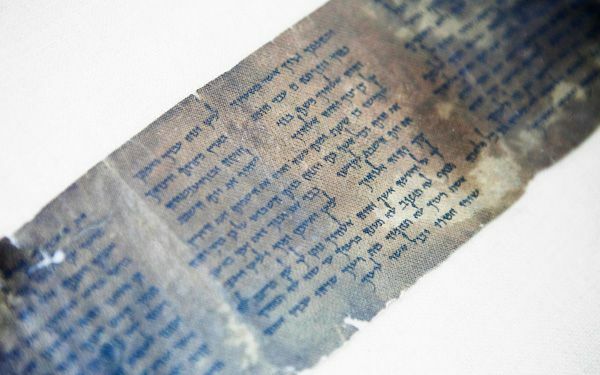 I think that it is cool to see the world's oldest paper which is the Dead sea scroll which is where the ten commandment was written on, but the ten commandment was the command in the old testament which is now found today which I think that the bible was real. Well if the ten commandment is found, I think that it is going to be safe in a museum in Israel. The worlds oldest copy of the Ten Commandments is going on display at Israel's leading museum. 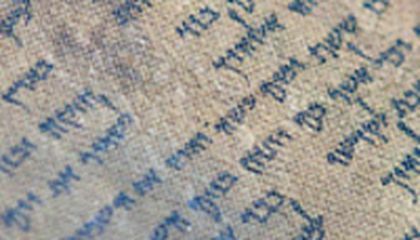 It is a 2,000 year old Dead Sea Scroll and will be going on a rare display. The manuscript is so brittle and worn out that it is only going on display for two weeks in Jerusalem. I think this article was interesting because I find it cool how a simple piece of paper can stay around for so long yet still be so important. In Israel's leading museum, they have an exhibit called "A Brief History of Humankind." Within the exhibit, there are very old artifacts, but also more modern ones, such as original handwritten manuscript of Albert Einstein's groundbreaking theory of relativity, which was published in 1905. The text states that the exhibit also holds the world's oldest copy of the Ten Commandments, which is 2,000 years old. The text also states that the exhibit holds the oldest known remains of a communal bonfire from 800,000 years ago. The evidence from the text suggests that even though Albert Einsteins theory is about 110 years old, compared to the other artifacts held within the exhibit, it is a young document.